We all know that driving for Lyft or turning your spare bedroom into an Airbnb can be lucrative. But just how much cash can you really make? Side hustles can be a great source of income. Making a decent living is no longer limited to the 9–5 life—it often includes a serious side hustle. Perhaps that’s why more and more people are getting in on the gig economy. 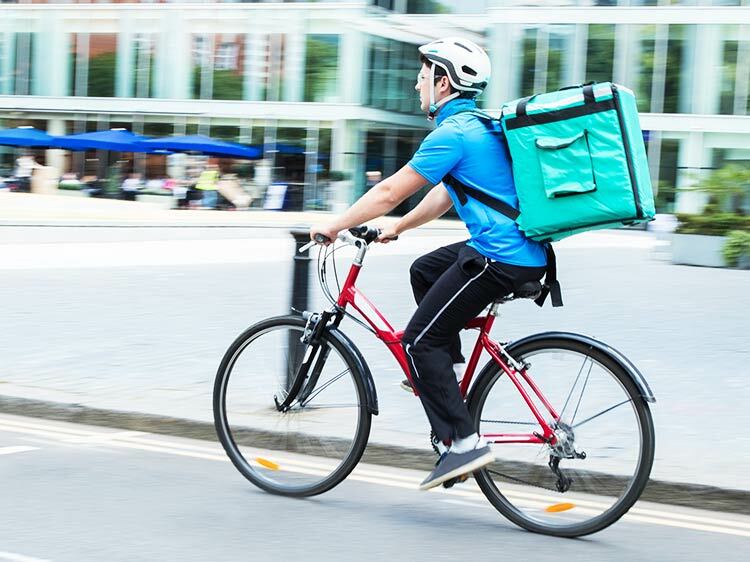 According to Finder.com, about 1 in 4 Americans holds a side gig, aka an extra way to make a buck aside from their main source of income. These side gigs aren’t just good for pulling together some weekend bar money or saving up for summer travel plans, either. The income that people are hauling in can be as much as $7,000 a month, according to a recent CreditLoan.com survey. You could pay off your student loans or put a down payment on a house with a supplemental income like that. So, what is it, exactly, that these people are doing to make so much money? Creating makeup tutorials? Walking dogs? Try again. The CreditLoan.com survey identified the top side jobs that offer the highest earning potential each month. Taking a look at the jobs on the list, you’ve probably considered picking up one of these side gigs at some point in your life. And after seeing how much money you could make, you’re going to want to start hustling every day, or at least start chauffeuring drunk 20-somethings around town. Seriously, we have so many jobs hiring at Lyft, Postmates, TaskRabbit, and other top companies right now. Check out the full list below to see which side jobs can make you the most money. Find all property rental jobs on Monster. Find all driver side jobs on Monster. Find all fitness trainer side jobs on Monster. Find all freelance and consultant side jobs on Monster. Find all e-commerce side jobs on Monster. Find all tutor and teacher side jobs on Monster. Find all consignment side jobs on Monster. Find all caretaker side jobs on Monster. Find all computer repair side jobs on Monster. Find all direct sales side jobs on Monster. Find all housekeeper and handyman jobs on Monster. Find all landscaper and gardener jobs on Monster. Find all dancer and musician jobs on Monster. Find all photographer and videographer side jobs on Monster. Find all survey taker jobs on Monster. Find all side jobs on Monster. Every job search—even if it's in the gig economy—requires full-time dedication. Yes, we know, you probably don't have time for that. Need some help? Join Monster for free today. As a member, you can upload up to five versions of your cover letter and resume—each tailored to different types of jobs that interest you. Recruiters search Monster every day looking to fill top jobs with qualified candidates, just like you. Additionally, you can get job alerts sent directly to your inbox, so you can apply as soon as positions become available. Put your side-job search front and center.